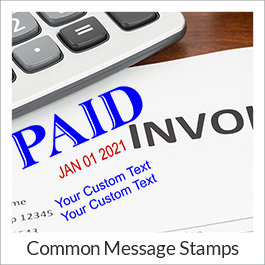 Simply Stamps offers stock office dater stamps and custom text dater stamps to speed up paperwork dating. Order a classic Date Only Stamp to expedite your documentation. 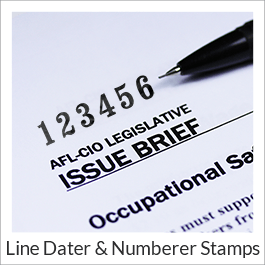 If you are looking for dater stamps to mark the month, day and year when a document has been received, entered, faxed, filed, sent, shipped, approved, paid or posted, our smooth action, self-inking dater stamps come in handy. 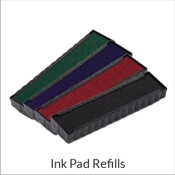 We also have economical dater stamps that can be used with your own ink pad. Ten years of dates are included with each stamp for a decade worth of use. 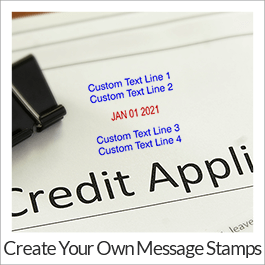 Personalized daters can be customized with signatures or up to 4 lines of custom text. 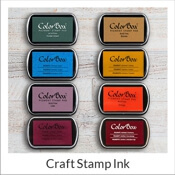 Make your mark and record the date on your most important paperwork with these quality constructed stamps. Date stamps are great for speeding up everyday office work but one down side is that the user gets ink on their fingers when changing the date. 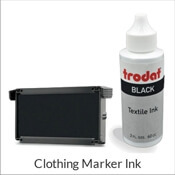 To solve this issue, we now offer the Trodat professional daters. These high end date stamps have an over-sized band adjustment wheel that prevents contact with your fingers. 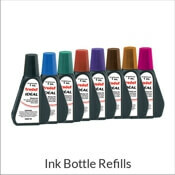 These heavy duty daters will also speed up your work because they feature a new date band drive mechanism that provides better aligned date setting. They are worth their higher price point! 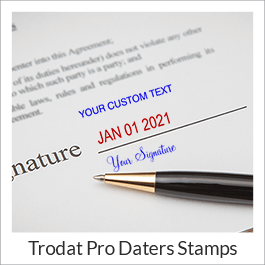 See the Trodat Professional Posted Date Stamp and the Trodat Professional Received Dater. 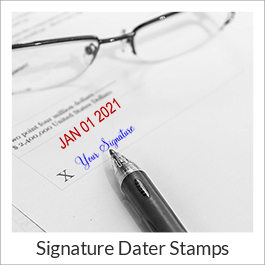 No matter what kind of dater you're looking for, all of our stamps are quality and will provide many impressions and at least 10 years worth of dates.